Our condolences to Erin, Julie, and their family. We are sad to report that pheo has taken another life all too soon. Stories like Lori Kozempel’s emphasize the painful reality of pheochromocytoma; we know too little and we must help patients and medical professionals learn how to diagnose early. Julie Yankanich, Lori’s daughter, is telling her story and raising awareness with the help of her daughter, Erin. Please take a moment and read about Lori and Julie. It’s NET* Cancer Day! Read on to learn why today is so important. Why do we need this day? How does NET Cancer Day help? Raising awareness about NET cancers helps empower patients and medical professionals. Better information leads to earlier diagnosis, well-informed medical professionals, and overall improved quality of life for people with NET cancer and their families. To learn more about NET Cancer Day, go to their home page or check out their Twitter account (@netcancerday). For more information about pheochromocytoma and paraganglioma, we recommend starting with Dr. Karel Pacak’s page with the National Institutes of Health (NIH). Learning is the first step toward making a change! Educate yourself and others with the resources above. 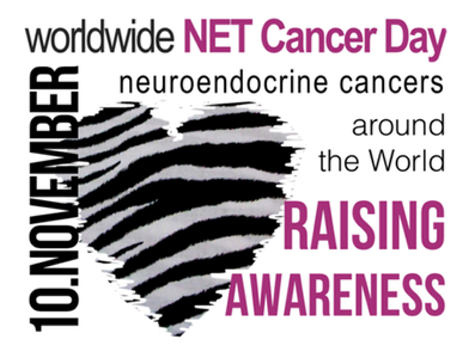 *NET stands for neuroendocrine tumor.